A Waterloo Region MPP has been kicked out of his party’s caucus over what he calls an “embarrassing, inappropriate conversation” dating back to 2013. 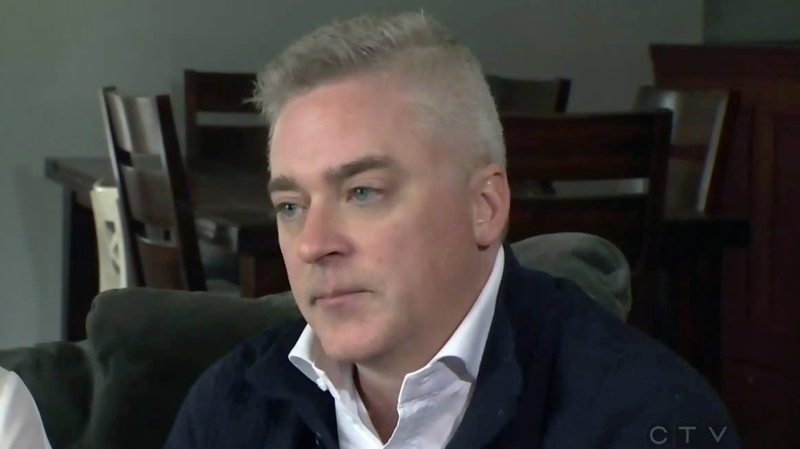 Kitchener-Conestoga MPP Michael Harris was turfed by his Progressive Conservative colleagues less than 48 hours after saying he would not run in June’s election due a health issue which would require surgery. PC party leaders say an allegation against Harris was brought forward last Friday, prompting an investigation. According to caucus chair and Huron-Bruce MPP Lisa Thompson, the allegation included a series of text messages sent between Harris and a female intern in 2013. “These text messages were of a sexual nature,” Thompson said in a press release. Additionally, Thompson said, party officials were presented with a written complaint from the intern "about how she had been passed over for employment." Monday morning, Harris sat with his PC colleagues for Question Period before being told that he was no longer welcome in the caucus. Speaking to CTV Kitchener’s Tyler Calver later in the day, Harris said that he arrived at work Monday expecting it to be “business as usual,” although he was already aware that the party had disqualified him from running under its banner in June. Harris said he learned of the disqualification on Saturday, and asked for time to talk it over with his family before it was made public. He said he wasn’t given a specific reason for the disqualification, but suspected it had something to do with a conversation from his past. “I had an embarrassing, inappropriate conversation that I should not have had six years ago,” he said. The conversation involved an intern with the Progressive Conservative party and “led to nothing further,” Harris said. Harris had his wife Sarah by his side for his interview with CTV. He said he had informed her about the conversation after it happened. “This has brought Mike and I closer together, and we’re stronger than we ever were,” Sarah Harris said. The second-term MPP said his personal health was the primary factor behind his decision not to run again. He said he has been dealing with keratoconus – an eye disease which causes vision loss – for 20 years and plans to undergo surgery next month. “I had the scare of my life a few weeks ago, coming home from Queen’s Park,” he said. Speaking to reporters at Queen’s Park, Thompson said the PC party has “zero tolerance” for sexual misconduct and treats allegations of such seriously. “We will be addressing this further this week. We will be taking serious steps,” she said. Asked for comment about Monday’s developments, other local MPPs commended people who bring allegations of sexual misconduct forward. “My thoughts are with the people who do come forward and talk about abuse and harassment. I hope they’re getting the kind of support that they need, that they are being listened to,” said Daiene Vernile, the Liberal MPP for Kitchener Centre. Waterloo MPP Catherine Fife called the allegations against Harris indicative of a “pattern of behaviour at Queen’s Park” and questioned why Harris remained in caucus until Monday, given party officials have said the decision to disqualify him from seeking the PC nomination was made on Friday. “Mr. Harris put out a completely other reason as to why he was leaving politics. That leaves us with asking the question of [PC leader Doug] Ford as to when he knew about the allegations,” Fife said. Harris was first elected as MPP for Kitchener-Conestoga in 2011. He served as the PC critic for a variety of high-profile portfolios, including the environment and transportation. He says he intends to serve the remainder of his term in the legislature as an independent. Kitchener-Conestoga MPP Michael Harris speaks with CTV Kitchener on Monday, April 9, 2018.